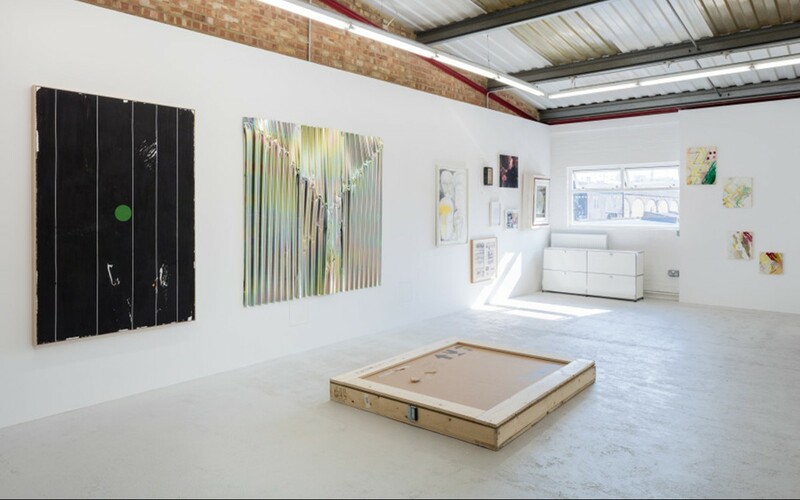 On 22 September 2015, Annka Kultys, following more her fifteen-year presence on the art market as a collector of contemporary art, opened her own gallery in the East End of London. The gallery’s first exhibition, Desire of the Other, marks this transition point in Kultys’s career by sharing her long-term observations of different behaviours in collecting. Discussion surrounding the show reflected on owning, living with, showing and sharing art objects and the ideas behind them. Maria Teresa Ortoleva: How did you start to collect? Annka Kultys: Some collectors make a conscious decision to become a collector and take an art advisor to help them build a collection. Others just buy pieces of art while looking at art in galleries and art fairs. For me, it wasn’t a conscious decision. I loved travelling in different European cities and looking at art. I grew up in Switzerland, where art is ‘à portée de main’ with many good galleries, incredible museums and, more importantly, Art Basel: the most important art fair in the world. I used to visit these venues during most of my spare time. The more I looked at pieces of art, the more the desire to acquire some of the works grew. I began buying pieces that I could hang on the walls of my flat. One day, I realised that I had not space on my walls any more and put the first piece in storage, then the second… I think that this is when I became a collector. In the end, I did not choose art. Art chose me. MTO: Has your collection grown through time to reflect your passion for art? AK: Absolutely. It was like a snow ball, starting with the first piece I bought in 2002, then quickly followed by many others. I met my partner shortly after and moved to Paris. Art became a shared passion for us and we have been visiting galleries, museums and art fairs together ever since. We built our art collection together. Most of the pieces in the collection originate from discussions we had, which gives the collection a very interesting direction. When our daughter was born, we began to take her with us to every single exhibition. Her voice is also important to us. MTO: Then you curated some exhibitions in Paris. Did the idea of a gallery of your own start there? AK: Yes, it began in Paris. The first attempt at realising the dream started in Paris in 2012. I worked with a French gallerist who was a friend of mine; I had the curatorial and exhibition programming responsibilities, while she managed the gallery. Following our first two exhibitions, however, my partner and I moved to London. In London, I first of all decided attend Sotheby’s Institute of Art and study for a Masters in Contemporary Art. I had seen so much contemporary art and thought it had become necessary to acquire a more formal understanding, survey some art theory and develop my critical view. Having my own gallery, though, is something that has always stayed in the back of my head. AK: It was a desire! The desire to share with others my passion: art. The desire to provide a platform, through my gallery space, to bridge the worlds of the artists’ studios and the collectors. The desire to market artists’ unique ideas and perceptions of the world inscribed in their oeuvres. MTO: Your gallery opened in the East End, an ideal area of London already vibrant with the presence of many art galleries. The first exhibition was only two weeks long, but dense in concept, with a high number of works of great stature. Is Desire of the Other a sort of statement? AK: Desire of the Other, featured works by emerging and leading contemporary artists, including Frank Ammerlaan, Harold Ancart, Joe Bradley, Asia Dusong alias Monika, Theaster Gates, Adrian Ghenie, Mark Grotjahn, Thomas Hirschhorn, Thomas Houseago, Jacob Kassay, Oscar Murillo, Sherman Sam, Josh Smith, Valérie Snobeck, Oscar Tuazon, Frederik Vaerslev, Kaari Upson and Danh Võ. It is a very important exhibition to me, because it gathers together, not only great artists, but also observations I have developed on the art market since the 1990s, in particular, collectors’ behaviours that I have seen during that time. The exhibition therefore came about as a mix of my observations and historical research, exploring the surprising ways that prominent collectors – such as Eli and Edythe Broad, Bernardo Paz, François Pinnault, Donald and Mera Rubell, Charles Saatchi, and Guy and Myriam Ullens – promote contemporary art and young artists through their private museums. Their foundations have become increasingly important venues, competing with public museums in scale, while promoting their private collections to the public. Private museums, often bigger than public equivalents and invariably designed by famous architects (starchitects), have become themselves a statement and have a huge impact on artists’ careers. MTO: The exhibition stressed on the word ‘desire’, referencing Jacques Lacan, and pointing to how some collectors set behaviour for the others. AK: There are two different kinds of desire in operation. Lacan’s famous quotation still aptly describes 21st century collectors’ behaviour. Desire has two distinct elements. On one hand, by building their private museums, the collectors desire to be recognised as eminent collectors. On the other hand, by featuring their own artists, these key collectors foster the desire in other collectors to own the same pieces of art, or, at least, works by the same artists. MTO: There is a subtle touch of irony in showing, alongside the works, Jacque Tati’s film Mon Oncle (1958). 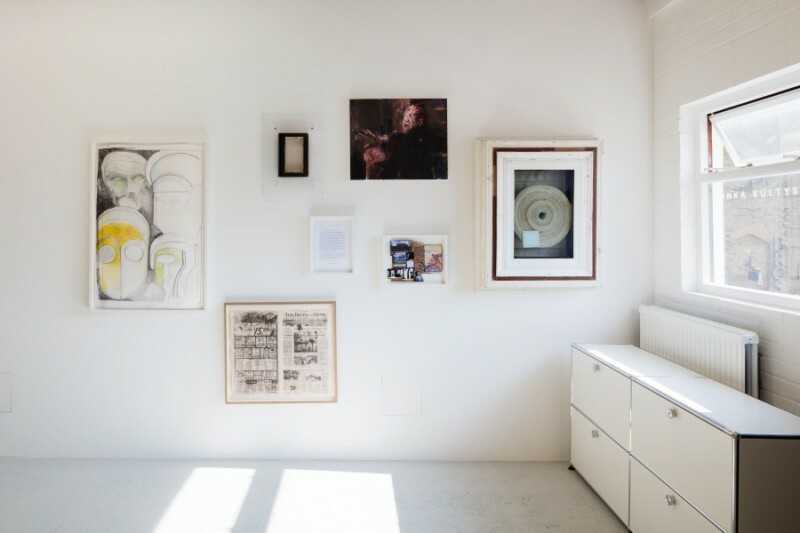 What do collectors try to reach for by living surrounded by the right objects of art? AK: The film shows two brothers-in-law living different life styles. One is wealthy and shows off his wealth and good taste. The other, the ‘Uncle’ in the title, lives like a dandy, doing whatever he wants and has a liberty that the first one lacks. In a way, the film reflects the behaviour of some collectors. As I was saying at the beginning, some collectors decide to become collectors and behave in the way they think they must; while, others buy whatever their heart tells them. Yes, then, there was irony in showing the film, but it also was a kind of mirror of what happens on the art market with an incredible range of collecting behaviours: from those who collect for status, through those who look at investment, to those who collect from passion. MTO: Would you tell me about the work Empty Bible? 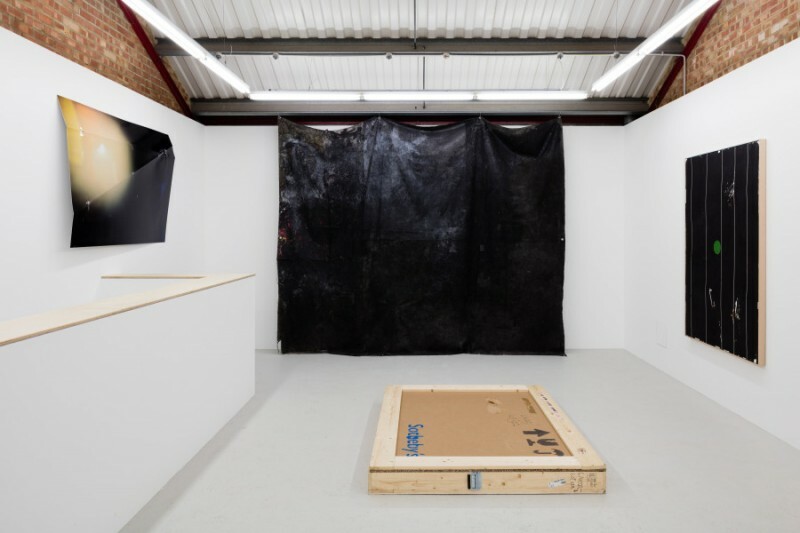 AK: The exhibition featured a work by Swiss emerging artist Asia Dusong. It was an empty Bible: a real Bible from which the artist has removed the printed word from each page, leaving only a void at the centre of the work. I added it to the show because, for me, a Bible without text reflects the behaviour of collectors when they buy art simply to store it and resell it (flip it). Then the artwork becomes empty. For the collector, the meaning of the artwork is lost, the artistic process does not really matter; it becomes just an object. To emphasise this behaviour, I added an unopened work to the exhibition without hanging it. It laid on the floor of the gallery still crated, having come directly from the storage facility of a leading auction house, complete with the markings of the auction house. MTO: What about your passion for Oscar Murillo, whose work was also present in the exhibition? AK: I discovered his work for the first time in 2011 in a group show at Nicodim Gallery in Los Angeles. It made a great first impression on me and I purchased a painting. Then, later in the year, I saw his work at NADA at Francois Ghebaly’s booth and met Oscar in person for the first time. I have seen most of his exhibitions since. At Sotheby’s institute, I pursued my interest in his work by extensively researching the artist, writing my thesis about his artistic practice. What I found really interesting about Murillo’s work was the fact that the visitor was allowed to touch, fold and unfold his canvases, and even walk on them! Doing so was an amazing feeling. His canvases remind me of Carl Andre, well known for his steel sculptures on which one could walk. Murillo came up with the idea of walking on the canvases and this never happened in the history of art before. People are still reluctant to do so. It is contrary to human instinct. His canvases are always on the floor, both in his studio and exhibition spaces. In the studio, they are there to protect his knees while painting; in the exhibition spaces visitors are walking on them. In this latter sense, it becomes a participatory work, involving visitors in the artistic process. Once the canvases have gathered dust and dirt, they become ready to be painted and sewn by the artist. 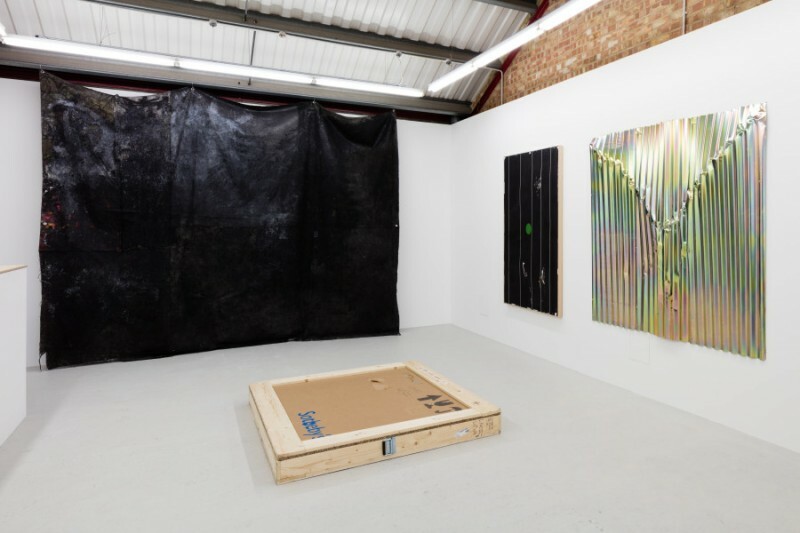 Oscar is best known for his large-scale abstract colourful canvases, often inscribed with words such is ‘Milk’ or ‘Pollo.’ However, his extensive practice – including videos, performances, relational aesthetics and installations involving industrial processes – is much more complex and this is what makes his art so great and irresistible. MTO: Oscar Murillo is someone who fits different places in our conversation. He offers the example of an artist launched by private collectors. He is someone whose work many collectors project a frenzied desire upon. Yet for you, he is someone you approached, studied and included in your collection drawn by passion. Considering him gives us a taste of the complexity of forces of desire in the art market. Finally, Desire of the Other gives form to a lot of your experiences, your passions and your study with a strong personality and voice. How do you regard this position of authorship as a new gallerist? AK: I would say Desire of the Other was a curatorial project that pulled together ideas from a decade of observations about collecting behaviours. It was a commentary on what I observed in the market and the growing importance of new collectors in promoting artists in unexpected ways. Perhaps, this first show really concludes a chapter of my life, as an active observer, and introduces a new episode as a gallerist, actively representing artists by promoting their works and selling to the growing diversity of new art collectors.